Panos Cosmatos is a name that should definitely be known to fans of more off-the-wall cinema. Boosting up an undeniably old-school touch with modern cinematography and sound techniques, the young Canadian director should have been on indie film fans’ radar already his dazzling Beyond the Black Rainbow (2010). In 2018, he’s back again with Mandy, a much grislier number, but one still marked by Cosmatos’ distinct hallucinatory weirdness. Great, an LSD film. Pop that tab. Mandy is a revenge story at heart, the tale of a reserved logger (Nicolas Cage) who goes on a murderous rampage after his titular lover (Andrea Riseborough) is kidnapped and tortured by a deranged religious sect. The leader of said sect, Jeremiah Sand, is played by Linus Roache, who channels a psychotic, charismatic persona that only serves to complement the film’s violent weirdness to the point that Jim Jones and David Koresh would have formed their own sexual ouroboros in veneration. On a surface level this may not sound original, and with Mandy the callouts to directors such as Kubrick, John Carpenter, and Clive Barker should be quite obvious for those who know what to look for. What's original is Cosmatos’ relentless merging of their styles: throwing them all in a blender, dousing the mixture with a good shot of shrooms via its cinematography and score, and then tube feeding the result to his audience on permanent drip. The only complaint is it’s a bit of style over substance. 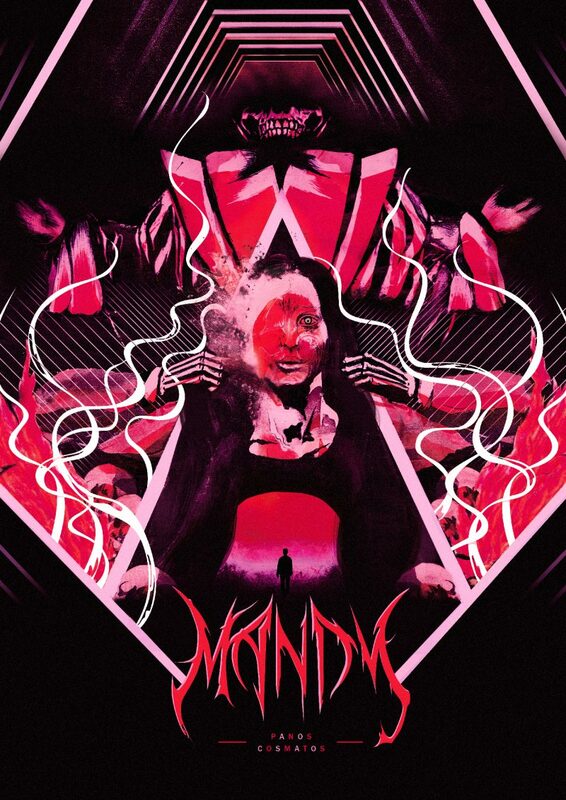 But Mandy’s true uniqueness lies in its fusion of the horrific and the trippy arenas of cinema in a way that few other directors have accomplished at Cosmatos’ level, making it something of a surrealist grindhouse film. If you’re a fan of violent, visually assaulting slasher flicks, best you get out to whatever low key theater is showing this one. And pop a whole sheet of tabs beforehand.